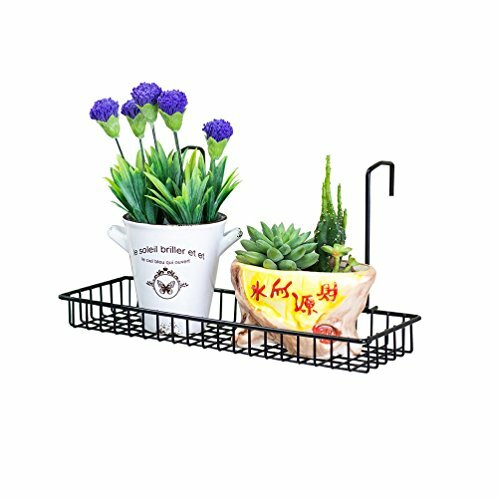 Simple for decks, patios, porches, office grid - place this strong coated-wire outdoor & indoor plant caddy wherever the railing are. Instant space for a pot or planter. Think of mini rose bushes or hibiscus for this outdoor plant rack. No screw needed. 5 colors available. 12.2" length long x 4.33" wide x 5.11" high. If you have any questions about this product by Chris-Wang, contact us by completing and submitting the form below. If you are looking for a specif part number, please include it with your message. By Curtis Wagner Plastics Corp.
© 2019 - coopbook.org. All Rights Reserved.